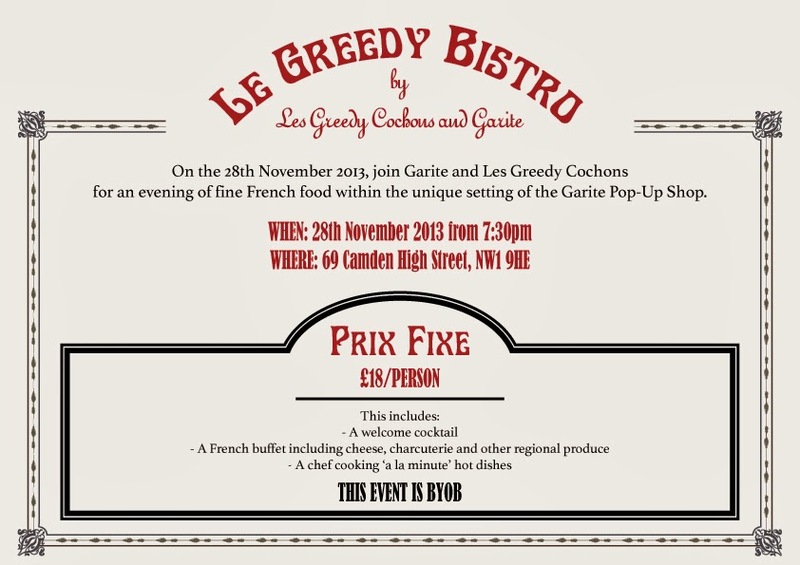 Vintage brand Garite is holding a pop-up shop at the Camden Collective space in Camden High Street from 26th November - 1st December, and on Thursday 28th Les Greedy Cochons will be hosting a special 3 course bistro menu supper club in the store. It's going to be a small group - 18 or so in total, it's BYOB, and the food will be great. 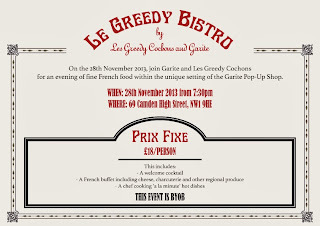 "3-course French Bistro Menu à la Les Greedy Cochons. It will be cheesy in every way – red and white checked tablecloths, one or two proper French moustaches, if you are lucky a French cat and of course lots of cheese."